the 500 ml and 16 oz flasks are so the four-year-old GodDaughter has her choice of hot apple cider or hot chocolate in between figure skating sessions. 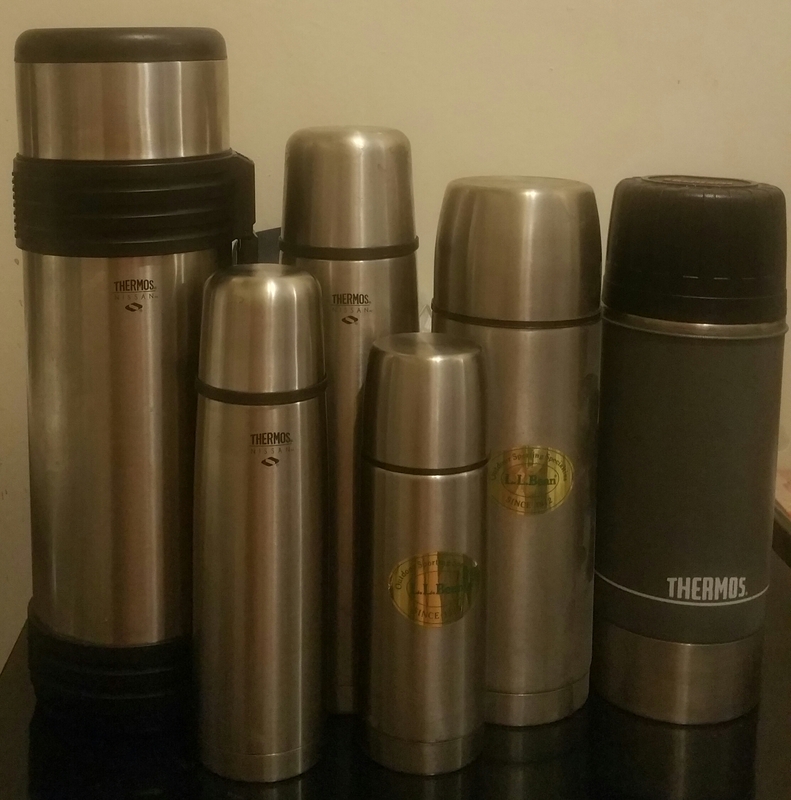 the 56 oz, 1 L, and 32 oz, flasks, are so that GodDaughter's Mom, Dad, Grandma, and "Padrino Tonio" can endure watching 3 hours of junior figure skating by sipping "special fortified" hot apple cider, hot chocolate, and coffee. I suppooooosse I could have one of them filled with fortified herbal tea. "I suppooooosse I could have one of them filled with fortified herbal tea." " What is the fortification stuff, in the winter when I went ice fishing, a bunch of Russian dudes had booze in their thermos... "
"f you dropped the first 2 clauses of the above sentence, leaving just the third ... you would have a universal axiom, true always and everywhere throughout time and space"
You can simply shorten it to the universal statement "Russian dudes had booze"